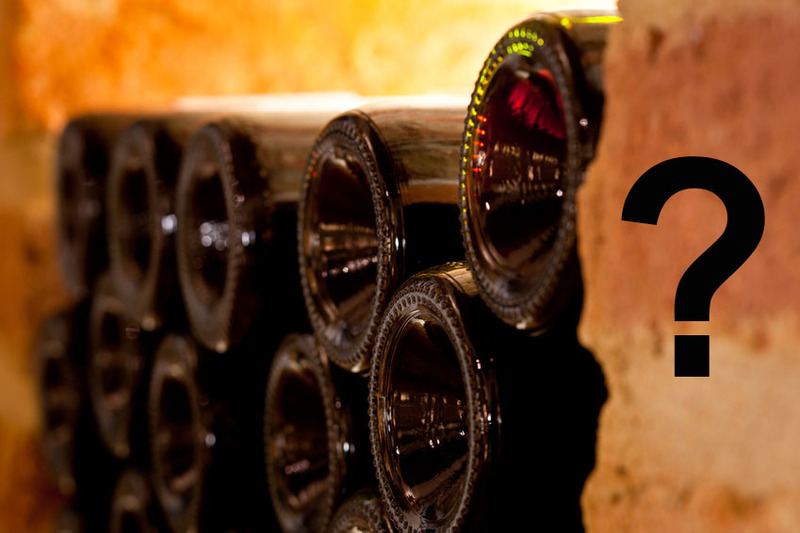 All French appellations have their « sleeping beauties », those who lack in fame despite their exceptional heritage. Until “Prince Charming” (an investor) comes along, making every effort to produce wines worthy of the pedigree. This has been happening to the châteaux of Meursault and Marsannay since 2012. One such Prince Charming is Olivier Halley, heir to a family shareholder of Carrefour and head of « H Partners » (owner of brands including « Du Pareil au Même » and « Tout Compte Fait »), who bought Château de Marsannay (35 hectares of vineyards in Marsannay and Côte de Nuits) and the operating company of Château de Meursault (60 hectares of vineyards in Meursault and Côte de Beaune) in 2012. 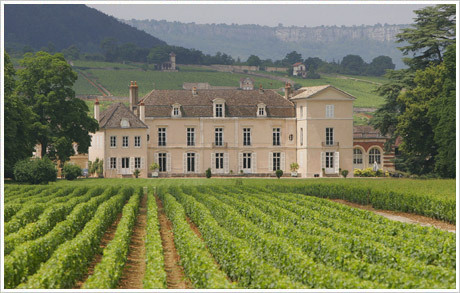 These two properties were previously owned by the Boisseaux family, who founded Burgundy houses Kriter and Patriarche. 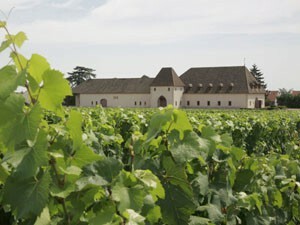 Château de Meursault dates back to the 11th century and was bought by the Boisseaux’s in 1973. Château de Marsannay was more recently established. 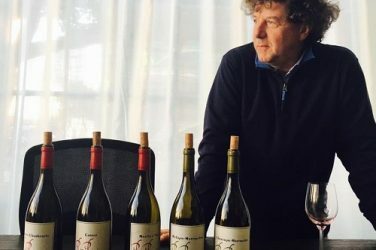 In 1990, the Boisseaux family – who bought many vineyards in Marsannay and Côte de Nuits – was forced to build a place to produce their wines and improve the quality from these vineyards. So, in just one year, the impressive building with two cellar levels was constructed – a significant achievement, but very expensive! The iDealwine team visited these two properties and were greatly impressed. Firstly by its sheer size: nearly 60 hectares in Meursault and 35 in Marsannay, not a very common sight in Burgundy. The large vineyards imply a great diversity of terroirs and many promising and varied cuvées, from Côte de Beaune to Côte de Nuits. And let’s not to forget about the extraordinary cellars: the vaulted cellar beneath Château de Meursault is absolutely superb and the largest in Burgundy. 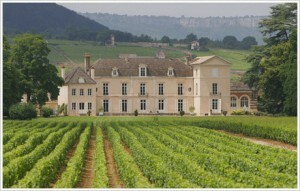 We were greatly captivated by the significant investments at both châteaux over such a short period of time. Further investments: new equipment was purchased for working the soil, a new optical sorting machine for Meursault (which was greatly used during recent vintages) and a vertical press and brand new wooden barrels were bought for Marsannay, from particularly picky barrel suppliers. Significant human investment also took place, with the arrival of Stéphane Follin-Arbelet, who has extensive experience, particularly as previous winemaker at Bouchard, as well as some new technicians and specifically Cyril Chirouze, the young manager who runs Château de Marsannay. The most important is, of course, the spectacular improvement of the wines. Especially in Marsannay, it is incredible to see the absolute respect shown for the grapes and the desire to keep the most interesting wines separate. 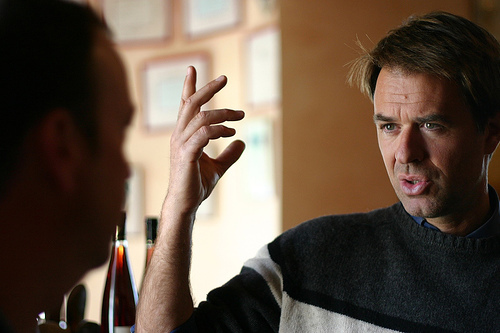 For example, the 2013s were produced with remarkable precision, showing finesse of fruit and tannin structure. The Marsannay Longeroies and Clos du Roy are beautiful wines expressive of their terroir: the first is floral and crisp, while the second is feisty, with a prominent personality. The Ruchotte-Chambertin of the same vintage is also a great success: elegant, spicy and very delicate, yet more powerful and very lively on the palate. At Château de Meursault, we were struck by the great uniformity among the white and red wines, for 2013 and 2012. 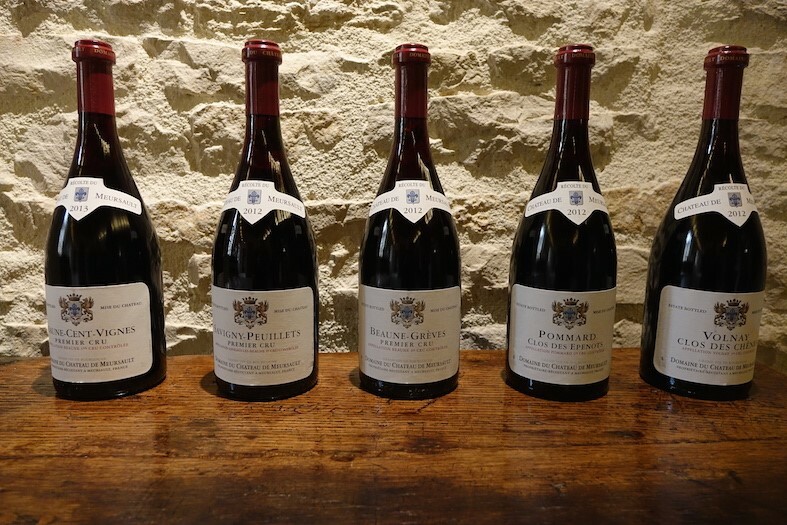 Among the many wines tasted during the visit, the following stood out: Beaune 1er Cru Les Cents Vignes 2013 (spicy, with a delicate density; racy and vibrant), a Pommard 1er Cru Clos des Epeneaux 2012 (crisp fruit, very balanced, smooth and elegant; very Volnay, in fact), a Volnay 1er Cru Clos des Chênes 2012 (aristocratic, somewhat tight, yet powerful, with more tannins, characteristic of Pommard), a Burgundy Terroir d’Exception 2013, an unranked plot in the middle of Meursault (a very ripe, rich and big wine, characteristic of a beautiful Meursault) and a Meursault 1er Cru Charmes-Dessus (fine and elegant, with an intense, energetic palate, reminiscent of the Puligny style). A beautiful (re)discovery! Burgundy is changing, with new investors an important means to improve areas with incredible terroir. 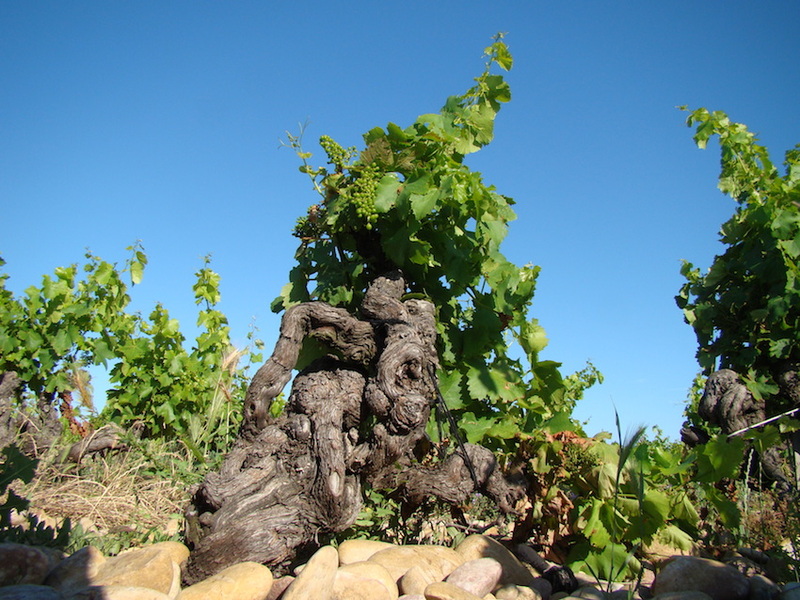 Ultimately, Pinot Noir and Chardonnay enthusiasts can rejoice in the overall quality improvement of the wines and the diversified supply, notably with the development of appellations that were previously underrated, such as Marsannay, which will soon (probably in 2017) classify its top terroirs as first growths. 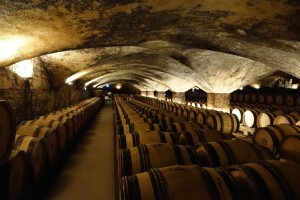 A development that delights Château de Marsannay – its 11 hectares will potentially be affected, which would make it the top producer in the appellation by far.